I’ve spent countless hours trying to come up with the perfect recipe for realistic watercolor calligraphy in Procreate for iPad. 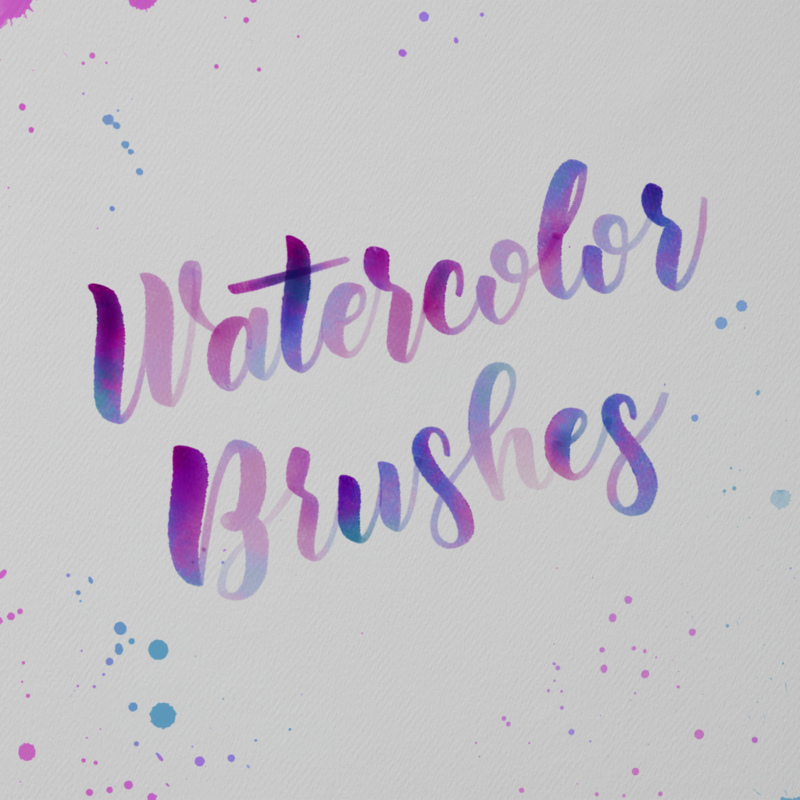 These high quality brushes can be used for several different watercolor-effects. Compatible with the Procreate app and Apple Pencil for iPad Pro. Each brush is built with custom source artwork, so they are totally unique from other brushes out there. The “Rich” watercolor brush for more solid, wet letters. I’ve also included a bonus high-res watercolor paper background. I think the effect looks most convincing with a realistic paper texture underneath – This is a real high res photo of cold-press watercolor paper. Simply import into the bottom layer of any procreate document from the “actions” Menu (wrench icon).